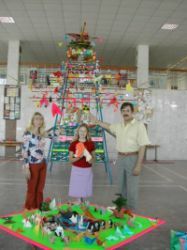 Here you will find all information about the past Origami Peace Tree Festivals. 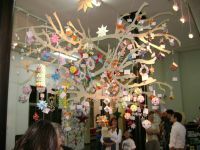 Host: International Art Partnership "Peace Tree"
to build Peace, every day"
Host: Project "One Thousand Cranes for Peace"
"Let's make the paper come to life"
Including an International Haiku Contest! 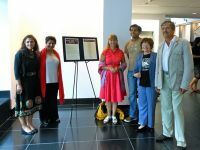 "Origami Regards from the World to Jerusalem"
"Folding the art, unfolding the peace." 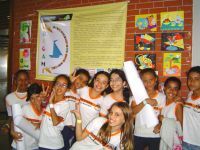 "Hands that fold solidary, to build a better world." Let the birds sing, let the flowers bloom. 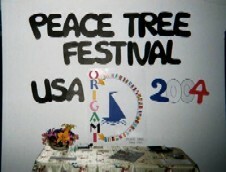 Host: Ms. Barbara Turner, "Origamidesigns"
Host: Levashov family, IAP "Peace Tree"
We love Peace! 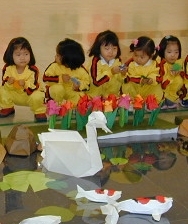 We love Origami!